Sony Pictures Television Networks (SPTN) is set to rebrand kid’s channel Kix to Pop Max in the UK on August 30. The new-look SPTN UK channel will go live on Freeview channel number 208, Sky channel 627 and Freesat channel 604, targeting six to 10 year-old boys with a line-up of “cheeky comedy”. 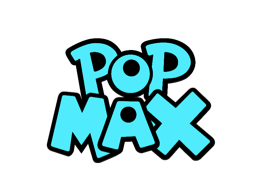 Pop Max will join SPTN’s portfolio of children’s TV channels alongside Pop and Tiny Pop. The company owns and operates a total of 16 channels in the UK. “The rebranding of Kix to Pop Max will allow us to strengthen the relationship in viewers’ minds between our portfolio of kids’ channels and our first class children’s programming,” said Kate Marsh, executive vice president, Western Europe, international networks at Sony Pictures Television.